RIGHT ACROSS THE STREET FROM THE BEACH! This beautiful one bedroom condo is everything you will need to have the perfect island getaway. 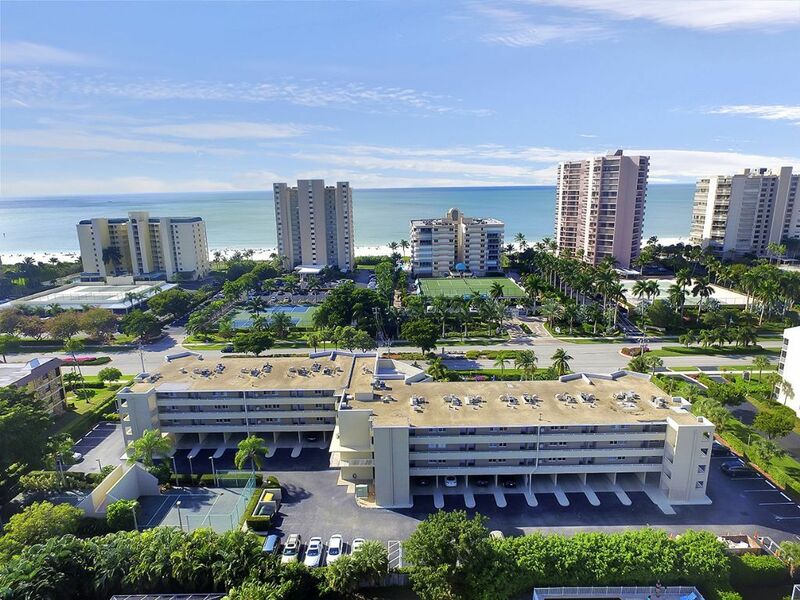 Located at Marco Island's south end, the Beach Club It's directly across from the street from the beach with private access for our guests (who are provided a special key fob). The unit has a full kitchen with microwave, stove, dishwasher, blender, coffee maker, all dishes, pot, pans, silverware, and much more. This property has been taken great care of for you to enjoy your stay. It's only a few blocks from restaurants, bars, movie theater and much more! Book now before it's too late! Escape away to your dream vacation. Island Escapes can help fulfill all your vacation needs. We offer a large selection of vacation rentals properties, including pool homes, beachfront condominiums and golf course villas in Marco Island and Naples. Our specialty is matching our client's unique lifestyle to that ideal vacation home or condo, chosen from an extensive list of Florida vacation rentals. We can also help plan a vacation with tours, excursions, restaurants, and more! Our user friendly website features live calendars showing all current availability. Visit us for a free map and a list of our inventory or preview the inside of a vacation property that interests you. We are known for our customer service and attention to detail. We have over 20 years of experience and we continue to update and improve each year. This is our second year staying at this condo and we are looking forward to staying there again. The condo is great for couples looking for a beach getaway. The building its located in quiet building with private parking. There is also a private walkway straight to the beach. The condo has updated amenities with a nice size bedroom and bathroom with a walk in shower. Located on the 3rd floor, you can see the beach from the screened in balcony. This rental is located perfectly for walking to the beach or finding a great place to eat. Would definitely recommend! Nice warm pool, large condo, excellent rental agency. The condo was clean, the bed comfortable, great access to the beach. The pool was heated and provided many seating areas. Upon arrival at Island Escape we had an issue but Abagail handled it immediately and we only lost ½ hour of our vacation. There was an issue in the kitchen regarding the electrical socket at the end of our stay but I did notify Island Escape and hopefully that issue was resolved. We would stay at this condo again. Thank you so much for staying with Island Escapes!